Nurullah Şahinöz, a vocalist at the Presidential Classical Turkish Music Choir was removed from his position with the latest government decree, No 696, on Sunday. 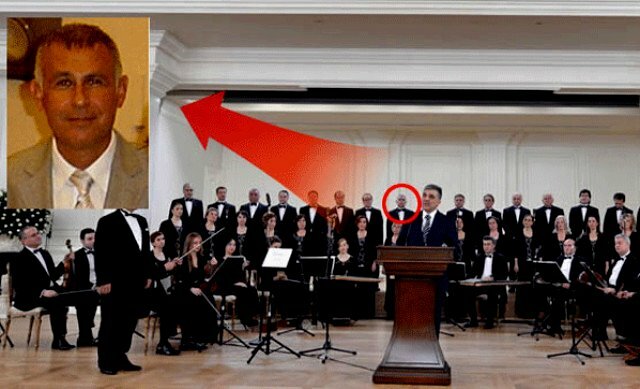 Turkish media has said Şahinöz was purged from his position as a vocalist at the presidential choir. On Sunday, Turkish government also purged a total of 2,756 people, including 105 academics, from state institutions in an accompanying decree, No. 695, increasing the total number of people who lost their jobs to 150,688. The decree 695 also shuttered 7 associations, 7 foundations, 2 newspapers and a private company. 189 media outlets have been closed down since the summer of 2016. Meanwhile, the decree also said people who were imprisoned over “offenses against Constitutional order” are now required to wear dusty orange and gray jumpsuits.